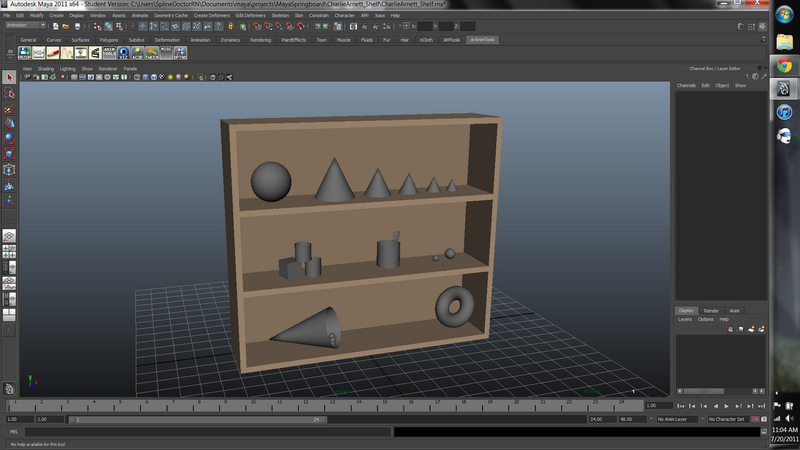 So our first assignment for Maya Springboard is to place basic objects on a premodeled shelf. The assignment is geared for those that have never worked in 3D space before and allows them to get a feel for the Maya interface. 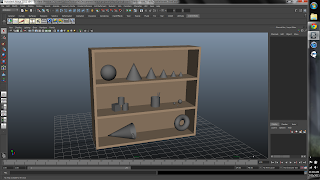 Below you will see the picture we were to go by and the shelf I uploaded for my assignment. 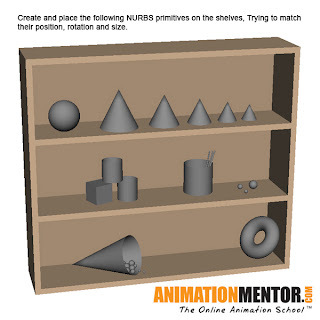 It's not a 100% replica, but where's the creative freedom if you make an exact replica of something?!? Anywho, it was quick, fun, and easy. Took me about 30 mins to complete. Did you? I was going to but didn't feel like it late last night lol.